Managing finances in the Golden Years can be a difficult proposition. Most seniors face a tight budget to make ends meet with retirement income, Social Security or public safety nets. Meanwhile, others look at options like Reverse Mortgages to supplement income later in life. Regardless, in recognition of Financial Literacy Month, the Pennsylvania Banking and Securities Commission is issuing a warning to seniors in Pennsylvania and across the United States to be cautious in their investment decisions. According to Glenn E. Moyer, vice President of the Commission, financial experts have seen a recent string of investment and financial opportunities marketed to seniors that may not be right for every senior citizen’s particular situation. 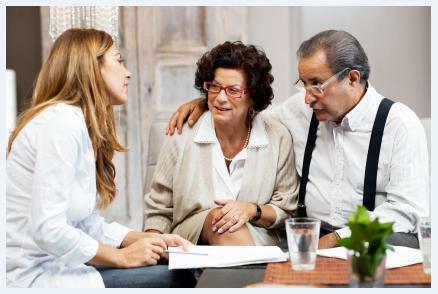 With that in mind, seniors are urged to seek advice from trusted financial advisors before making any financial or investment commitments with unfamiliar parties. Many seniors are completely capable of managing their finances independently. Likewise, there are also seniors who need assistance with money management due to failing memory, or even disabilities such as poor hearing or sight that make it difficult to manage finances without an extra hand. Because of the number of seniors that often require assistance, the 65 and older segment of the population is a popular target for investment and financial scams. However, there are ways that care teams can work together to ensure that seniors are kept safe from financial ruin. For example, seniors who receive assistance from a home care agency have the extra eyes and ears of a professional caregiver. These individuals, when equipped with the power of a home care software or home care system, such as ClearCare, can note any odd phone calls, mail or behaviors that indicate a potential issue. Via secure log-ins to the home care software or home care system, family members can then review comments left by the caregiver to help keep a broad view picture of any suspicious financial activity. Additionally, if a senior or their family caregiver suspects a potential financial problem, tasks in the home care software or home care system can be used to help remind caregivers to log any suspicious phone calls or visitors. Even for legitimate financial options, such as reverse mortgages, an extra eye can be a valuable tool. The mere presence of a family caregiver or caregiver using a home care software or home care system, such as ClearCare, can help remind seniors to check with their financial advisor before moving forward with major financial moves. Money can be a tricky subject at any age, but with the fixed income that typically accompanies retirement years, a savvy financial plan and a care team committed to keeping seniors financially sound can have a major impact on a senior’s long term financial health.